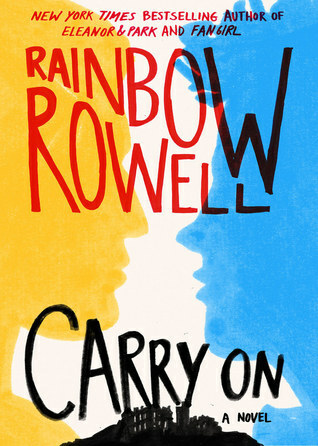 I’m a huge fan of Rainbow Rowell’s books and I’m really intrigued to see how she transitioned from YA contemporary books to a YA fantasy book. I also want to see how she develops the relationship between Simon and Baz, because I was a big fan of Cat’s fanfiction in Fangirl. At the beginning, when this book was announced, I wasn’t so excited about this, but after reading the summary and learning more about what this book was about, that changed. Now I can’t wait to read it! YES^^ I am SO waiting on this one right along with you!! I loved Fangirl and I can't wait to get into more adventures of Simon and Baz 😀 Eeeep! I hope we can both get our hands on this one as soon as possible AND that we both LOVE it! I am SO SO excited for this one! I have been looking forward to seeing Simon and Baz for so long I can't believe it's less than a week away! I love her books! Can't wait for this one. I've seen a lot of other people put this book up. I haven't read any of her books and suppose I should really check it out. Hope you love it! I love Rainbow's writing so much!! I can't wait for the release of this as well 🙂 Great choice and thanks for stopping by!